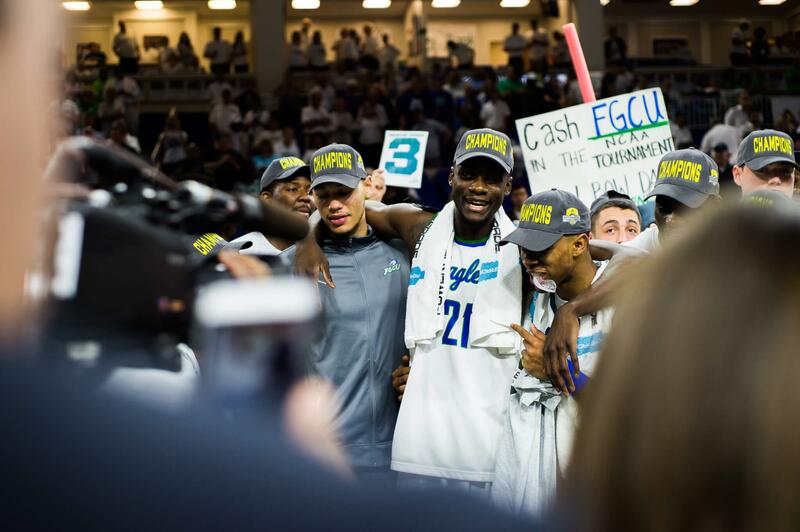 With an automatic bid to the NCAA tournament and the ASUN Men’s Basketball Championship crown on the line, the FGCU men’s basketball team defeated UNF 77-61 to book its second consecutive trip to the NCAA tournament. 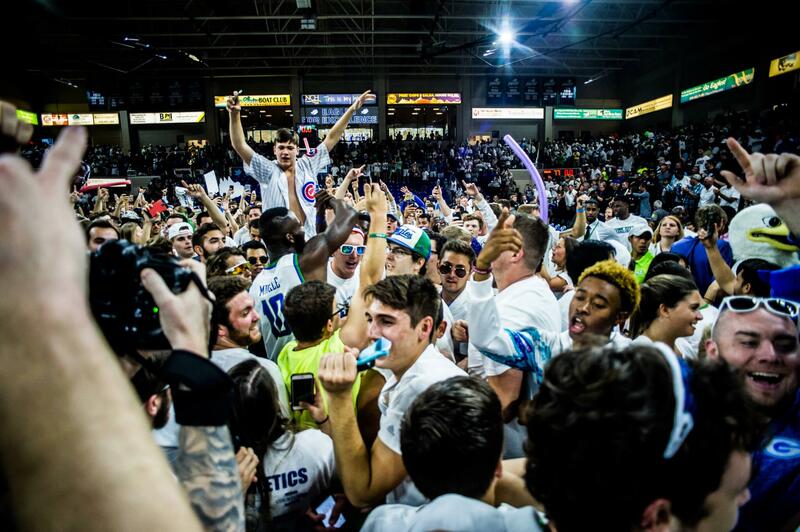 Heading to the NCAA tournament for the third time in five years, the Eagles improved their first half 36.4 shooting percentage to 59.3 percent in the second half while limiting UNF to just 18.5 percent from the clip after the Ospreys shot 50 percent at the half. 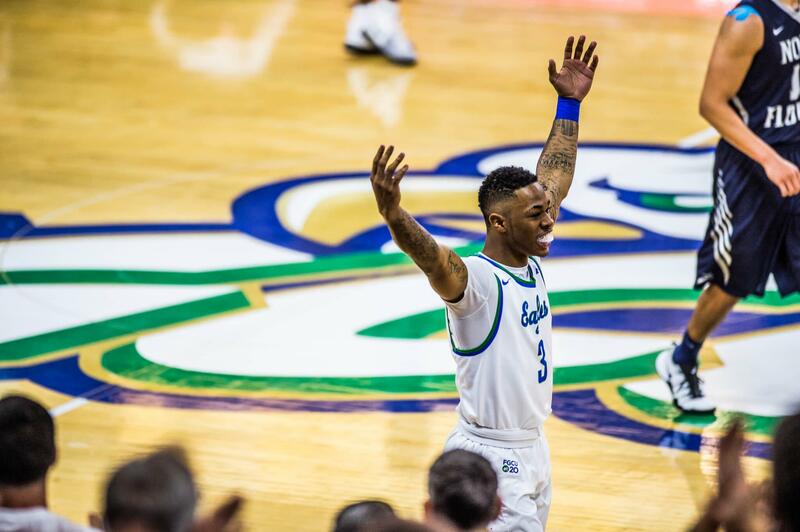 Earning a spot on the ASUN All-Tournament team and ASUN Tournament MVP honors, Brandon Goodwin scored 14 of his 19 points in the second half, leading a quintet of FGCU double figure scorers. 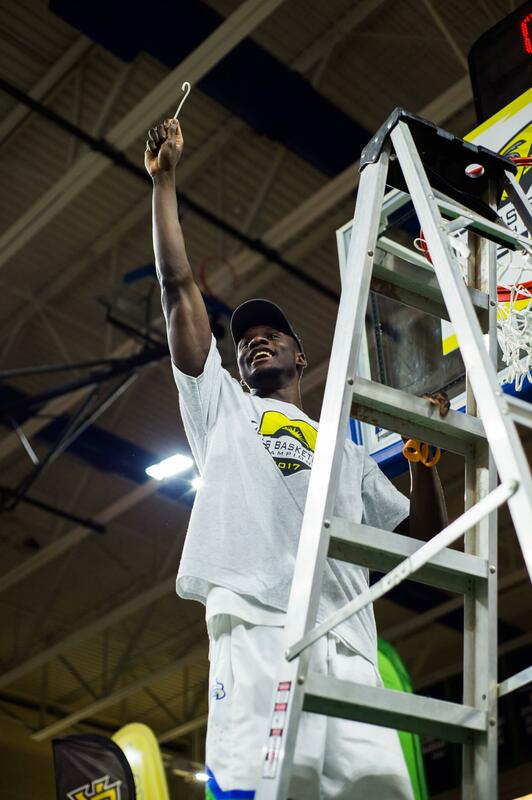 Leading the Eagles on offense in his first conference championship final victory, Goodwin set the single season program record for points in a season with 601 points. 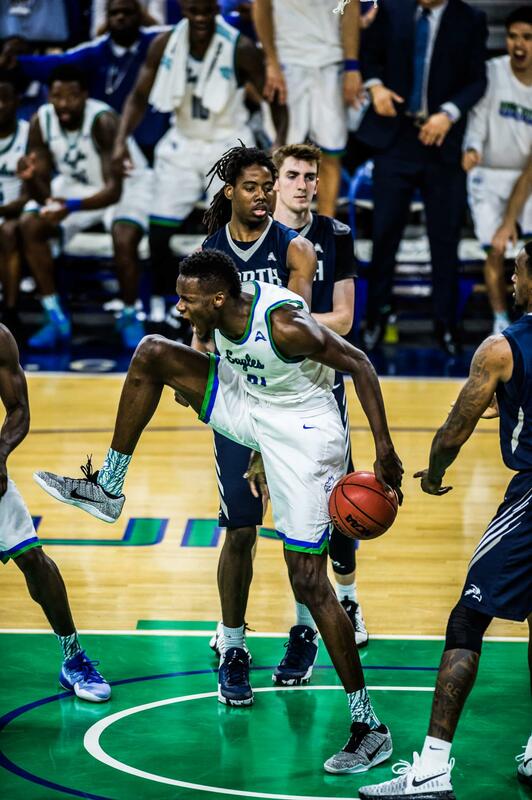 Joining Goodwin on the ASUN All-Tournament team, Marc-Eddy Norelia and Demetris Morant both finished with 14 points and eight rebounds. 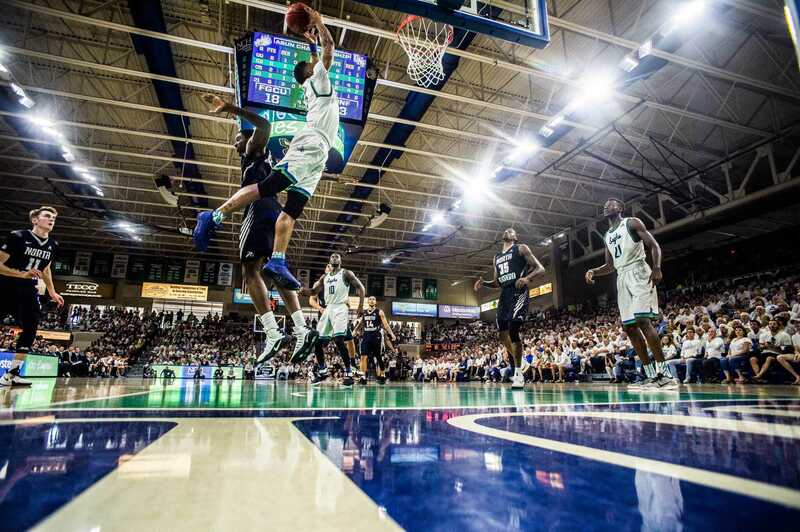 Fueling the Eagles’ nine dunks throughout the contest, Morant slammed home an alley-oop from Goodwin to break the 2012-13 record of 148 dunks in a season set by the infamous “Dunk City” Sweet 16 team. Grabbing three of his eight rebounds in the first half, Norelia became the third player in program history to reach 1,000 career points and 600 career rebounds. 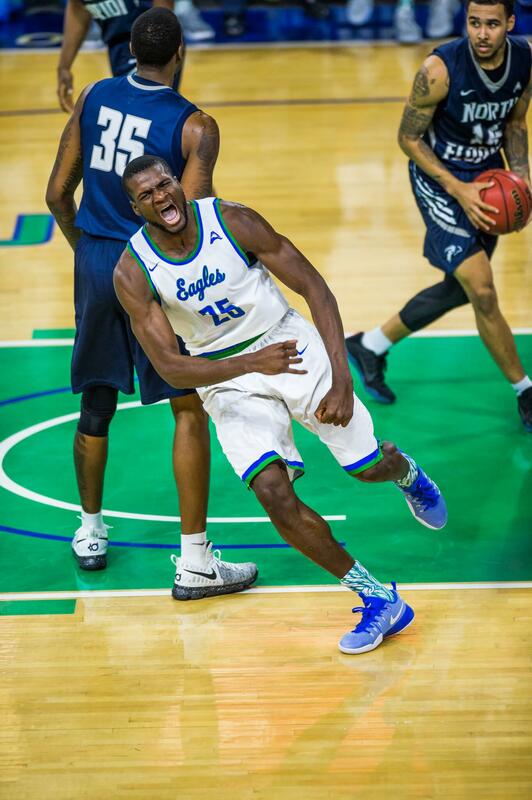 Playing in front of the largest crowd in Alico Arena history, FGCU and UNF put on a show for the electric 4,711 fans at Alico, trading buckets and trading leads before the Eagles pulled away in the second half. 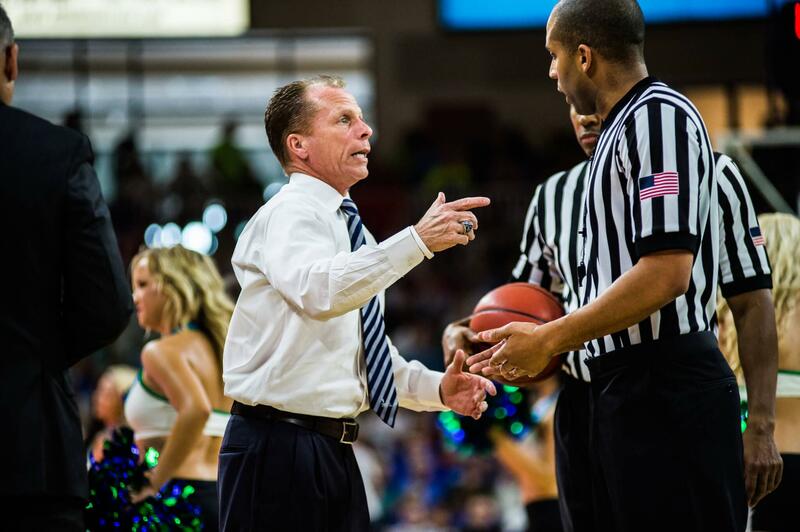 Morant came out of the gate on fire for FGCU, slamming home high percentage buckets and scoring eight of the Eagles’ 10 points, as they jumped out to a 10-8 lead. After falling behind 12-8, the Ospreys sparked a 10-0 run, capped off by a steal and a dunk by Dallas Moore, to take an 18-12 lead. Following a layup by Norelia with 4:38 remaining in the first, the Eagles tied the game up at 26 thanks to Norelia’s lay in and successful trips to the line by Goodwin and Rayjon Tucker. Despite trading buckets with the Ospreys in the closing minutes of the half, the Eagles couldn’t overcome UNF’s five makes from behind the arc, and they trailed 39-33 at the half. Coming into the second half going a combined 2-15 from the clip, Goodwin and Zach Johnson took over in the second half. Goodwin got to the line and attacked the lane in the opening minutes of the half, scoring seven points while Johnson was locked in from long-range, scoring six of his 10 points in the second half. 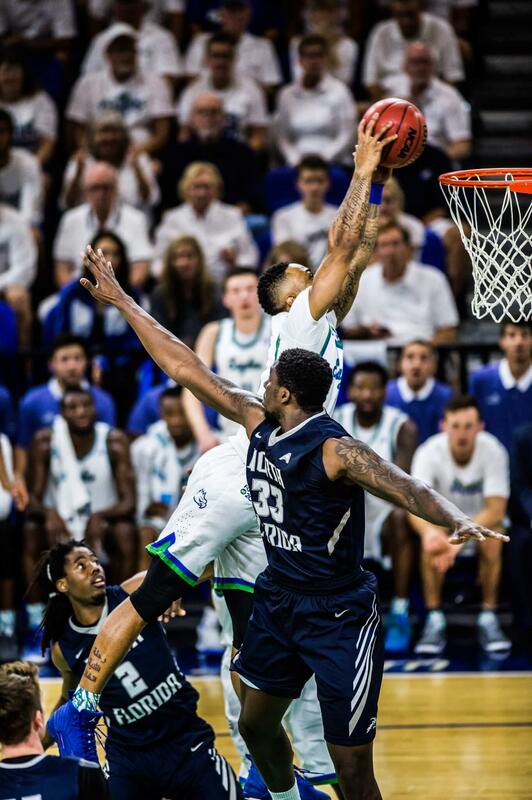 Turning up their pressure on defense after UNF’s hot shooting performance in the first, the Eagles held the Ospreys without a bucket for 6:19 while sparking a 13-3 run to take a 56-47 lead. 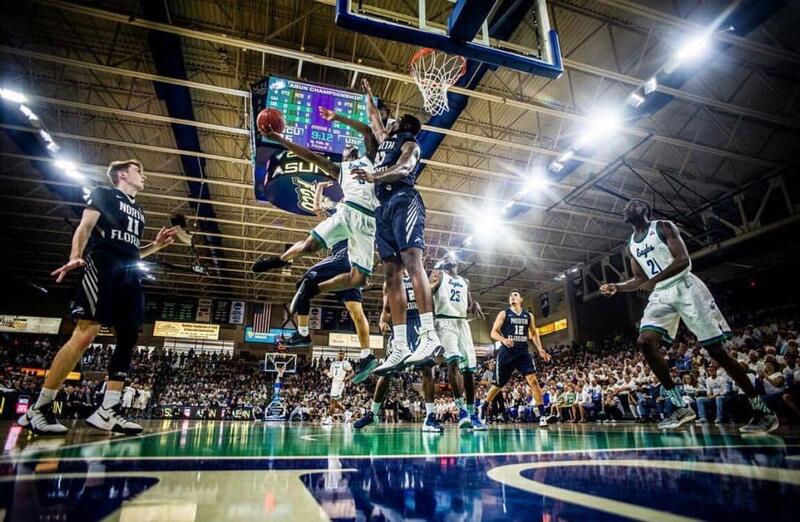 In the middle of FGCU’s 13-3 run, Tucker rose up for an emphatic two handed slam over a defender that broke the shot clock and had Alico Arena trembling. After the Ospreys brought the game to within five with 6:22 left to go, Christian Terrell followed up a three from Goodwin with back-to-back threes to put the final nail in the coffin and give the Eagles their first double digit lead of the game, 71-59. Scoring four buckets on four straight possessions on offense, the Eagles ran out the clock to book their trip to the NCAA tournament. 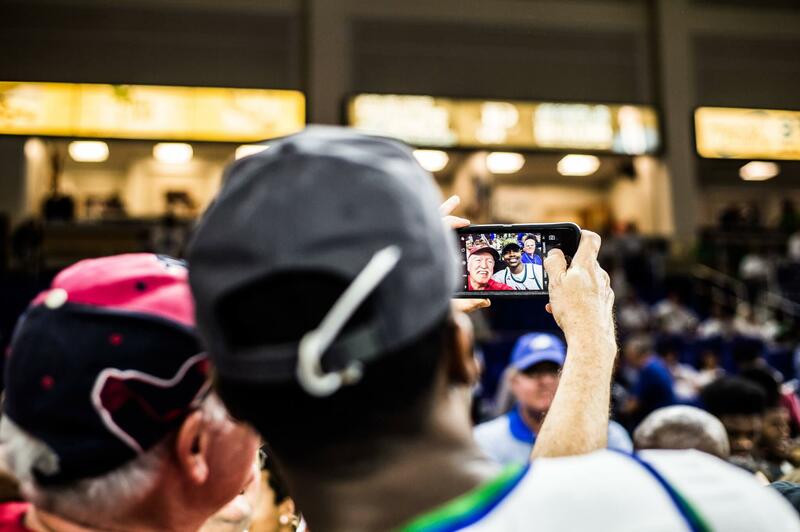 Hosting a Selection Sunday viewing party at Alico Arena on Sunday, March 12, the Eagles will find out who they face and where they will be playing in the NCAA tournament.